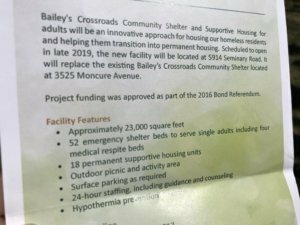 The Bailey's Crossroads Community Shelter and Supportive Housing for adults on Seminary Road is scheduled to open late next year. It will have emergency shelter beds and housing units, the first time the county will have both types of offerings in one place. BAILEY’S CROSSROADS, Va. — Fairfax County is about to build a new kind of facility for the homeless. 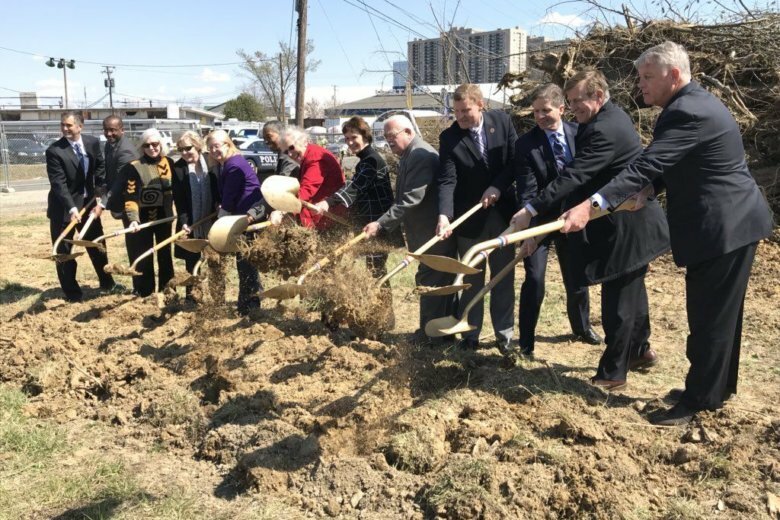 The groundbreaking ceremony for the Bailey’s Crossroads Community Shelter and Supportive Housing for adults on Seminary Road was Thursday, and it is scheduled to open late next year. When it does, the approximately 23,000-square-foot center will have 52 emergency shelter beds and 18 housing units for people who are ready to move out of the shelter but still need support services. It will be the first time that the county will have both types of offerings for the homeless in one place. The cost of the $12 million center is being funded by a 2016 bond referendum. In 2008, the county board adopted a 10-year plan to prevent and end homelessness. Congressman and former County Board Chairman Gerry Connolly said incredible progress has been made since then. “We’ve reduced homelessness by 47 percent. Nobody in metropolitan Washington and very few around the United States have been able to match that record,” he said. The new center will replace an existing 10,000-square-foot shelter on Moncure Avenue in the Bailey’s Crossroads area. Find answers to frequently asked questions about the new shelter here.